At the end of last August I started my exchange in Utrecht, Netherlands, a city for which I fell in love immediately. Utrecht has around 350 000 inhabitants, from which about 25% are students, so safe to say this is a proper student city. The atmosphere here is young and cozy, here they have a lot of cafes, restaurants and bars, but also a lot of activities, events, parties and trips organized by student organizations. Utrecht is a real Dutch-style city with a lot of canals and the beautiful old houses. And one the best parts is, it is only 25 minute train-ride away from the centrum of Amsterdam. In Netherlands a school year includes four blocks, the same way as in Finland, so I’m studying here for two blocks. These two blocks last about 1,5 months each, and in between there was an autumn holiday and two weeks of “exam weeks”. During these exam weeks there is no lessons. I have had approximately 3 schooldays a week, and they have included only one subject per day and the lessons last around 2-4 hours. So there is not a lot of long lessons, but there is a lot to do outside these lessons. We have more assignments and group works than in Finland, and the amount of work was a bit of a shock in the beginning. There are usually always weekly assignments that you do in a group or individually (I have had mostly in groups) and even the weekly tasks can be many pages of writing. So the amount of things you have to do on your “free-time” is a lot more that I’m used to. The biggest difference to studying is the time schedule, usually in Finland there is remarkably more time to do something that we might do here in one week. I still haven’t found the school being hard, and even though there might have been a lot of assignments to do, I haven’t had a feeling at any point that I don’t have enough free time. But if you decide to study in Netherlands, be prepared that you have to work for the school quite a bit. I live in the school campus, area called De Uithof. This area is about 5 kilometers away from the centrum. This campus is like it’s own world with several school buildings, a lot of student housing, grocery store, few restaurants and bars. But still, there is fields with sheeps, cows and horses right next to the huge buildings! I just love that. I live with 4 other exchange students, we have a pretty big kitchen/living room area, and each one of us has quite a big room of their own. The best part is, that my school is right next to my home, right on the other side of the street. On my free time I have traveled a lot with my friends. Travelling in Netherlands is very easy, there is a same card you can use in every place in this country in every bus, tram, metro and train station. Along with travelling around Netherlands, I have visited in 4 other countries in many different cities. Traveling in Europe is easy and very affordable, and it is definitely an opportunity to take an advantage of and use the free time to see new places. Everything is also pretty close, only a short flight (or rather long but very cheap bus ride) away! Other than traveling, free-time consists a lot of same things as in Finland; doing sports, watching Netflix and going out for lunch and dinners with friends. And last but not least, since I’m in the Netherlands and adjusting this Dutch culture, my free-time consists a lot of biking as well. I love the biking-culture, since everything is reachable with a bike and everyone does that no matter if it is sunny or a crazy rain. I would definitely recommend Utrecht as an exchange destination, because this city just has it all. If you have any questions about doing an exchange here, don’t hesitate to contact me and ask. On this very day, I have stayed in The Netherlands for exactly 3 months and I’m about halfway on my exchange studies. Yes, here in The Netherlands the semesters are quite long in comparison to Finland. I am studying in Rotterdam, the second largest city in The Netherlands (Roughly 625 000 inhabitants, located in South of The Netherlands). My typical school week is quite short, for instance, currently I only have 3 days of school in a week but this is balanced by project working and other homework. So having “easy weeks” definitely does not mean that you can slack off during your day-offs. I have had way more individual assignments here than in Finland, also the project working is much more demanding. 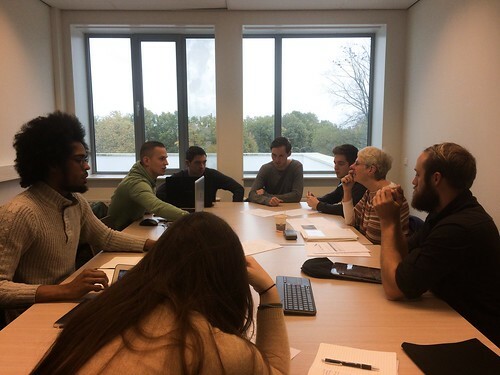 Although I am studying in The Netherlands, my degree programme’s (International Business for Asia) focus has been on Asian business culture – making my exchange studies very unique. I have had the pleasure to meet so many students from Asia during these studies and inspired by this, I even took a Japanese language course to learn the basics of Japanese. Speaking of languages, it is very easy to get by with English in your every day life, especially in Rotterdam as it is a very diverse and multinational city. There is not really a culture shock to be experienced when living in The Netherlands, maybe some homesickness every now and then – definitely missing the sauna as well haha. Otherwise, be prepared for some very direct communication with the Dutch, they get straight to the point with things. This is something that I have really enjoyed actually, I also like to get straight to the point. Nonetheless, it was really easy to get to know new people here and I have made so many friends during my stay already. During the weekends, I have traveled around, visiting the major cities of The Netherlands and I have even been to Brussels twice. I still have some places left on my go-to list, such as Antwerp, Utrecht & Delft. I might even travel around in January or February if my school ends early enough, my rental agreement is still active until 8th of February. Generally, a Finnish bank card will not work here. You most likely need to apply for a Dutch student bank account, however, this is free of charge. You only need to register for the municipality and receive a BSN (burgerservicenummer) to apply for the bank account. Accommodation is expensive and hard to come by in Rotterdam. Easiest way is to apply for a student housing (SSH), but keep in mind that you need a down payment of two months and the apartments run out very quickly during the application period. The cycling infrastructure is great in The Netherlands, each city usually has dedicated bike lanes for cyclists. Public transport is more expensive in Rotterdam than in Tampere, but it is very extensive with metros, trams, buses and trains. School for the business studies in Rotterdam was relocated to the city center, around 3,5km away from the student housing. Food is around the same price as in Finland, however, more selection on some groceries. Last Autumn semester, I had a chance to go to the Netherlands as an exchange student. 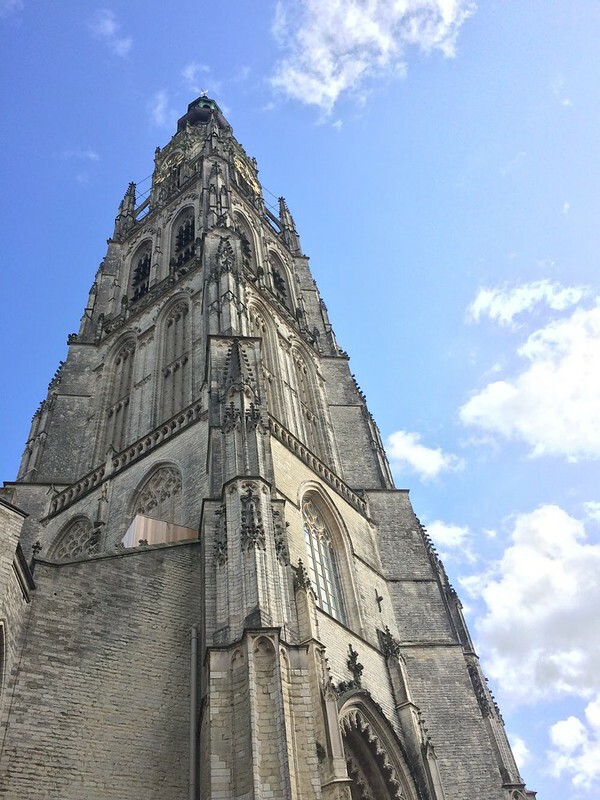 I lived and studied in Breda, a city in the southern part of the Netherlands for five months. As a big part of the study program that I chose at Avans University of Applied Sciences was designed for distance learning and the schedule is quite loose, I had a lot of free time for exploring the city and traveling. Breda is a peaceful city surrounded by river, yet it is always social due to students from two universities. In the weekend, I enjoyed walking on the main street, did some shopping then had lunch at either a cosy lunch place or a snack bar. 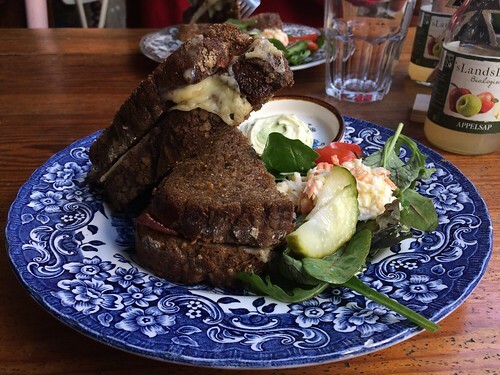 One distinctive feature that I love in Breda was that it was very easy to find a lovely coffee shop where you can have a drink or a light meal. Because Breda was located near the Netherlands – Belgium border, it was convenient to travel to Belgium. From Breda, you can make a day trip to Baarle-Nassau and Baarle-Hertog, where the border is just a single line run through houses. Antwerp, Belgium is only a half hour away by train and by the same direct intercity train you will arrive at Brussels after one more hour. 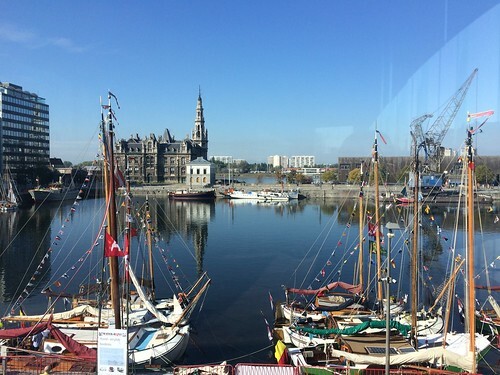 There are also other cities such as Ghent and Bruges that are the most famous destinations in Belgium. I visited them all when I had a few days off and it was worth it. Regarding to destination in the Netherlands, Amsterdam – the capital – the canal city is a must. There are also many attractions in this lively city such as the canals, Rijk Museum, Anne Frank House. Back to study topic, because all of the subjects were designed for distance learning so I did not have to go to school everyday. I could attend classes from home through an online platform. This was a new learning method that I have not experienced in TAMK. I felt more comfortable by attending class this way. However, as an exchange student, this caused a communication problem for me. Because I did not have to go to school, I did not usually meet people so it was hard to socialize with other students. Although the class schedule were quite comfortable, I still needed to devote a lot of time for studying. There were assignments every week and a project that sometimes had several reports due in the same day. The grading system were quite different from Finland’s. It was very hard to get 9 or 10 out of 10. There were some subjects that was impossible to get a 10. However, it might depend on the subject or the teacher, so just tried your best. During my exchange semester, I learnt a lot about Dutch culture and also environmental related subjects. I really missed the days and the food after leaving this city. It is always nice to experience something new. So go on an exchange program in the Netherlands, why not? Amsterdam is a city of canals, french fries and friendly people. It is the capital of the Netherlands and has a population over 800 000 people. Amsterdam’s demographic is different compared to the rest of the Netherlands because it has a population almost 50% Dutch and 50% foreigners. That’s why it’s common to use English in everyday actions and most of the people speak English fluently. I have done my exchange period in this lovely city, in school named Hogeschool van Amsterdam. It translates to Amsterdam University of Applied Sciences. My courses mostly consisted of finance and economics, which was first a bit difficult due to lack of finance courses in TAMK. Lecturers were great and professional, but they also expected lots of general knowledge about finance even at first. The lectures were interactive and lecturers made sure everybody was paying attention to the subject. Compared to Finland, there were fewer lectures and most of the studying took place at home. Also, the courses took the whole semester and exams were all in June. The Dutch grading system is completely different than in Finland. They have a scale from 1 to 10, where 1-5,5 indicates fail, 6 satisfactory, 7 more than satisfactory, 8 good, 9 very good and 10 outstanding. Grades 9 and 10 are given very rarely. In my opinion, the level of education is higher than in Finland and it’s also more challenging, but still manageable. Amsterdam is filled with adorable restaurants, bars, and parks, where you can eat and drink affordably. Of course, you can always bike to these places. As a beer person, I visited some of the Dutch breweries. My favorite place was this place called Brouwerij’t IJ, which was a brewery inside the windmill. For the food, I would always go to this neighborhood called De Pijp, where most of the people are Dutch – not tourists. For the culture, I visited Rijksmuseum, Van Gogh museum and Anne Frank house. Even though these places are really crowded with tourists, they are excellent places to get more knowledge about the Dutch history and see beautiful paintings. There was a common room in our accommodation, where you could play cards, party or just hang with the other exchange students. This was great because I didn’t live in the central. Overall I can recommend Amsterdam to everyone for studying, working or just visiting. I had myself an amazing time in this city and I hope we’ll see again! Chao’s Cafeteria is maybe one of my favourite places to eat. Most of the staff doesn’t speak any language, so it doesn’t help if you have spent months in Duolingo trying to learn some Dutch. But the important thing is that you get fries with mayo for just a couple of euros. There’s some mold in the walls but it’s not in the fries I think so you don’t have to worry. Oh and there is some strange thing hanging from the roof that teaches you mean words in many languages. Schlappschwanz for example (German, not Dutch). My belgian classmate ordered there once also some strange grey-ish sausage and for some reason I ordered it too. It was… interesting. Wow, look at that knakworst! Chao has really prepared this one. Makes you feel bad to watch that for a long time. There are bikes like mosquitoes in a forest in Orivesi. In Utrecht there are 3 bikes per resident (source: the wall of my hotel in the first week). So that’s it for now. Weltrusten! Ik ga nu luisteren naar de trap zangen van Jacin Trill. Tot ziens! Christmas is almost here which means that my exchange period is almost over. Before my exchange I was excited, scared and I didn’t know what to expect because this was my first time when I was going abroad alone. Before I came here, five months seems such a long time but I can certainly say that time flies here! Now it’s sad to leave all these nice places and wonderful people and come back to Finland. I’m living in Zwolle which is quite small (population around 125 800) but very cozy and calm city in the northeaster Netherlands. If you like big and crowded cities, Zwolle isn’t probably right place for you. But it is just perfect for me. The city center is small but there are many nice restaurants, cafés and shops (such as Primark, H&M, Zara). And of course, there are beautiful canals and old buildings. I’m studying at Windesheim University of Applied Sciences. Windesheim is quite big school and there are many students. Most of my lessons are in the X building which is the newest building and very modern. My program is called Doing Business in the World and I have chosen courses like sustainability marketing, business ethics and organizational psychology. In addition to these we have one project for a real customer. Studying here is very similar than in TAMK. We have many groupworks and projects. I think that the biggest difference is that the teachers here are more direct they have higher standards than in TAMK. For example, if they aren’t satisfied with your assignment they might ask you to improve it. Most of the students in my class are exchange students but there are also a few Dutch students. 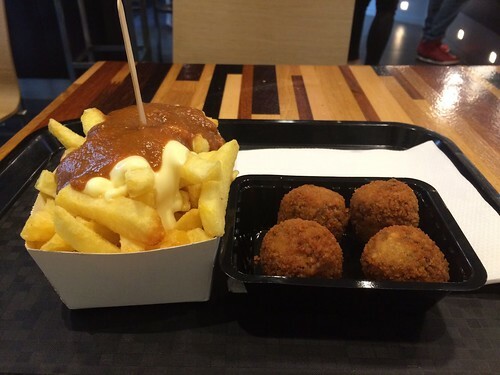 Dutch people don’t eat lunch at all. At lunchtime, they eat only sandwiches or fries. And they eat fries A LOT! You can find snack bars almost in every corner. I would never have thought to say this but I really miss TAMK school lunches! The first thing I did after I arrived at Zwolle was to find a bike because bike is the easiest way to move from one place to another. Bikes in here are quite expensive for example I paid 90 euros for my secondhand bike. I live in Leliestraat in a shared room where we have a bunkbed, own kitchen and bathroom. The building is old but the room is nice and my roommate is wonderful. In my spare time, I have enjoyed walking around the beautiful city center and the park right next to my accommodation. I had quite lot of work in the first period but now I have more free time and I have been travelling around the Netherlands and Germany. Travelling here is easy and the distances are really short compared to Finland. Greetings from Leeuwarden – or Ljouwert as the Frisians call it. Leeuwarden is a city of around 95 000 people in the north of the Netherlands. Leeuwarden is a nice and cozy city, full of canals and everything one could need. This city will also be the cultural capital of Europe in 2018! I study at Stenden University of Applied Sciences, which is – I have come to notice – a very nice and valued school for hospitality industry. During the first module here, I studied international hospitality management; hospitality operations design, to be exact. This included topics such as, how to define the perfect price for a night at a hotel (from hotel perspective) and how different kinds of layouts at restaurants affect the work motivation of employees. All in all, the first module was a lot of work, but also honestly very interesting at the same time! The biggest difference with studies at Stenden and my studies at TAMK, was the method of teaching. Here we also had lectures but they were not the main focus. Everything came together in PBL, Problem Based Learning, which was a hard method to learn at first, but most rewarding after getting the hang of it. We had two PBL classes each week and at every session we were given a problem, based on the topics discussed that week in other classes, and our job was to come up with a solution for it. This way the students were “forced” into learning how to apply the information received beforehand and just learning it by heart was not an option. During my spare time I have traveled a lot. Already in the beginning we came up with a nice group of girls to travel together and have been doing it ever since. Because the Netherlands is quite small, it has also been possible to do a lot of day trips around the country. One could even say, we have now seen every corner of the city – or at least the most major ones. Here are the cities we have seen, just to name a few: Amsterdam, Utrecht, Rotterdam, The Hague, Eindhoven, Maastricht, Groningen and Zwolle. Although studying at Stenden has been a lot of work at times, I think I have also learnt a lot from it and would definitely recommend this university to others. And when one is able to schedule school work efficiently, one has plenty of time to travel as well and also explore the cute little city of Leeuwarden itself. I never thought I’d truly fall in love with a country such as Netherlands, but it happened. The people here remind me of Finnish people, but more open minded and accepting. I’m studying at the Hague University of Applied Sciences, and I’m attending a project called European Project Semester. This year’s project is to create a smartphone application that helps art students and young artists to promote and sell their art. We’ve decided to create an application that lets the user talk to pieces of art, such as statues and paintings. When the user gets close to a piece of art he gets a message from it and can start having a conversation. Each art piece has artificial intelligence, meaning they can learn from the conversations they have. In my spare time I mostly hang out with my newly found friends, making food, going to parks and to the beach or with our school project. It is very easy to get around the Hague because of the bike lanes that are everywhere, and if there isn’t one you can just cycle among the cars without the fear of road rage. The public transportation is also very functional. Me and a couple of buddies also did some traveling around Europe. First we went to Belgium, and spent time in Brussels and also Bruges, a medieval trading post on northern Belgium. Then after that we went to see Vienna, Prague and Krakow. It is very easy to get around central Europe with either a bus or a train. We usually use the bus, as it is way cheaper compared to train or airplane, with some exceptions. Studying in the Netherlands feels, for the most part, the same as Finland. Dutch people kept telling me that apparently the education system in Finland is perfect and their system is trying to replicate what’s happening in Finland . Although I did not get to see the whole picture, I don’t think it differs that much from Finland’s education system. I also bought two bikes, both of which I fixed. One of them (the one on the photo) i brought with me to Finland.